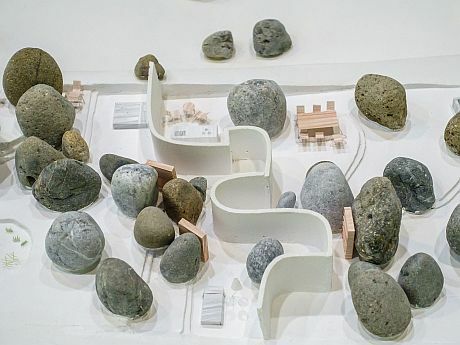 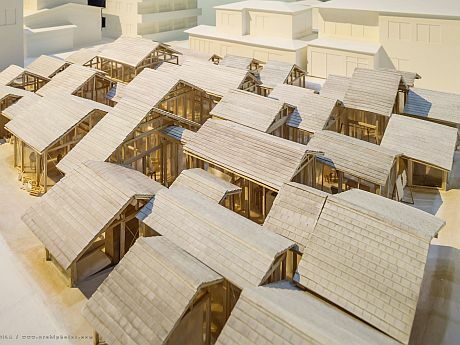 What would architecture students do without the plans and scale models of Junya Ishigami? 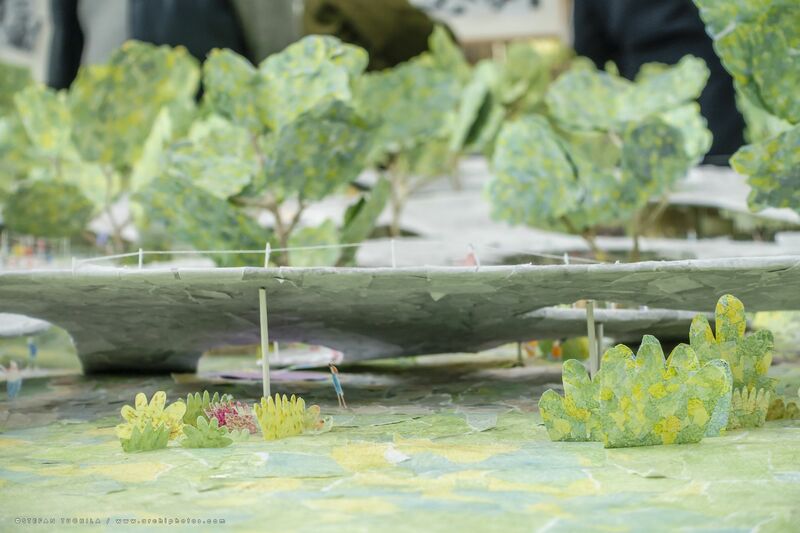 It’s hard to be in a studio jury in which you could not recognize the model – detailed, delicate and transparent drawings, ethereal scale models that combine abstraction and reduction to the essence with naturalism. 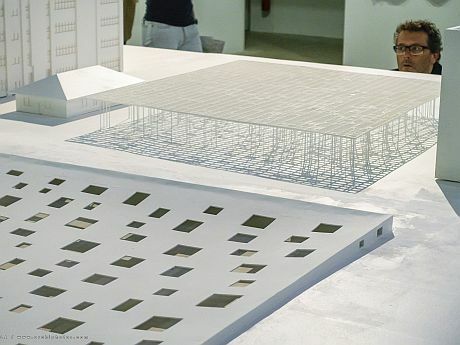 Well, yes, I admit that in our workshop at Ion Mincu Architecture School, we have been as well unable to oppose this. 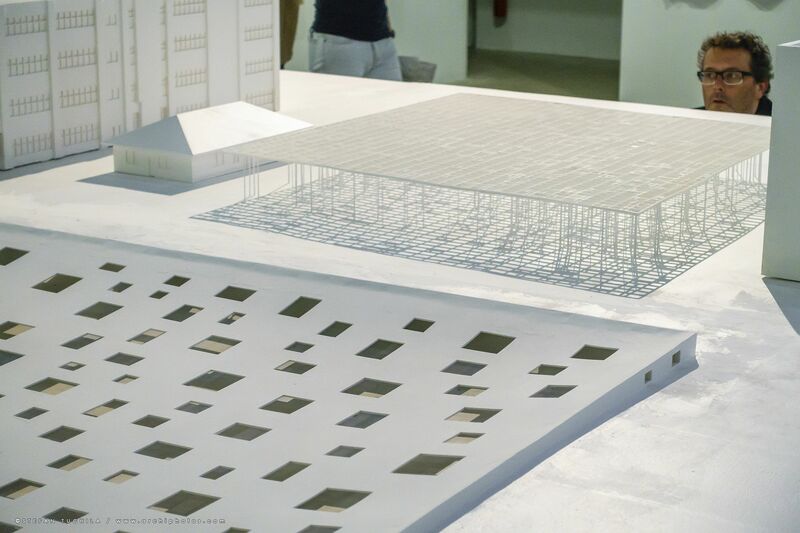 But I alkso believe that this is more than just a trend or a strategy for seduction, and that the students somehow understand that by drawing and building scale models in this way, you also design differently, you conceive in a completely different manner the relation between your spaces and the context, or between architecture and the life of people. 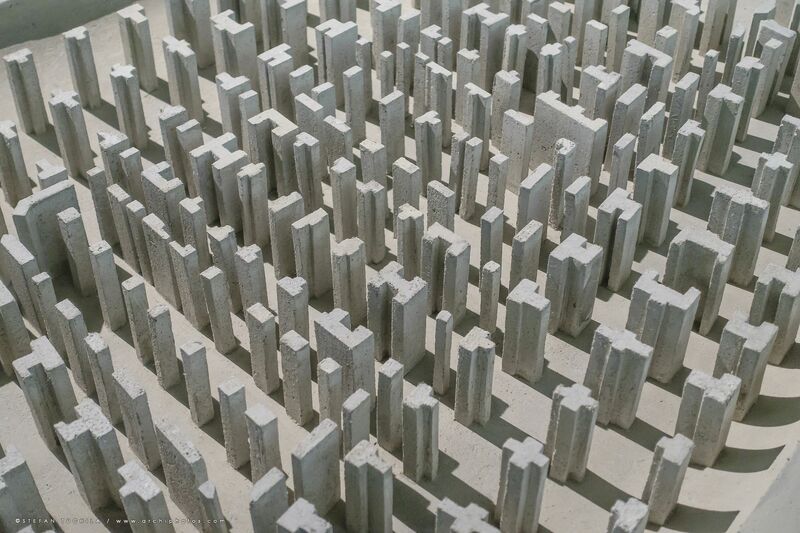 In fact, you begin to look differently at nature, cities and dwelling. 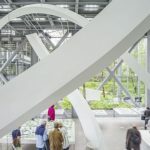 A spring-like breeze blows from Fondation Cartier together with the opening of the Freeing Architecture Exhibition. 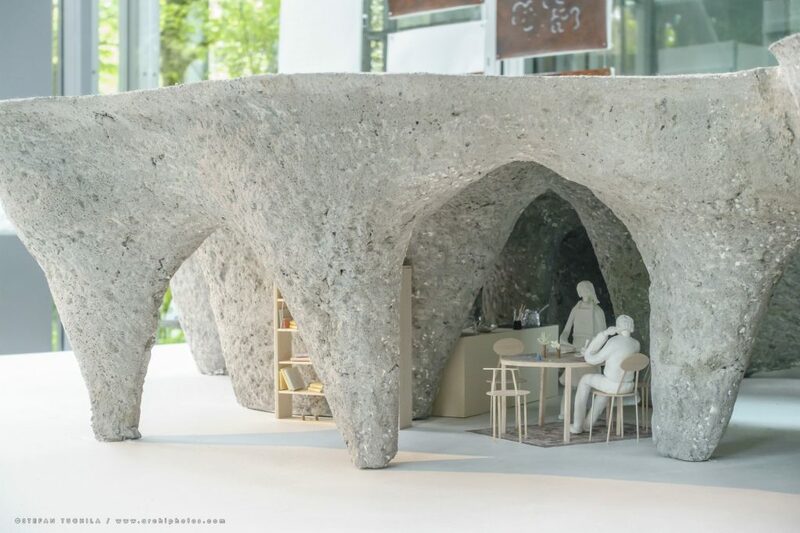 The weather stays moody, oscillating between torrid days, alternating with the typically Parisian greyness and humidity, but there is a lot of freshness in Junya Ishigami’s 18 projects and in how they are presented. 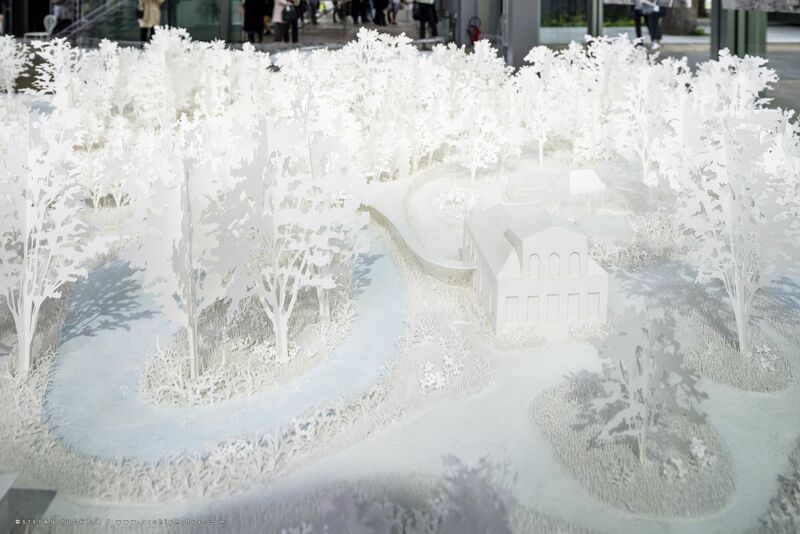 The exhibition showcases over 30 models, accompanied by sketches and film, organised by themes: childhood (nursery schools in Kanagawa/Japan, Shadong/China), the cloud phenomenon (urban sculpture Sydney/Australia, House of Peace Copenhagen/Denmark), landscaping (Pavilion for the Groot Park/Netherlands, the irrigated garden and the Tochigi Restaurant/Japan, Dali Houses /China, Japan), meditation (the chapel and the cultural centre of Shadong/China), education (the multi-purpose hall of Kanagawa /Japan, Kait Workshop Kanagawa/Japan), or restoration (The Polytechnic Museum /Moscow, senior’s residence in Tohoku/Japan). 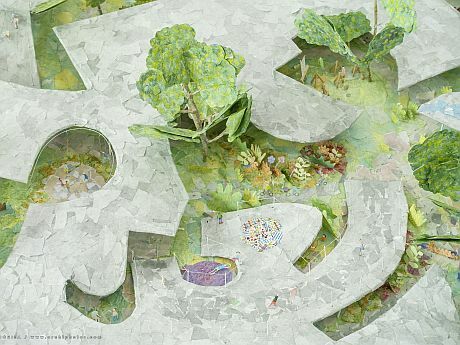 Exploring the landscape strongly shapes of the projects. 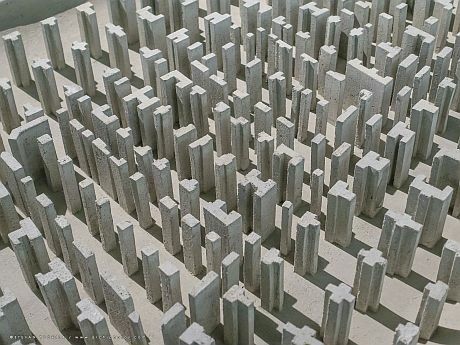 Landscape is primordial, transforming, privileged, dominating the architecture which discreetly accompanies and stages the ever-changing nature. 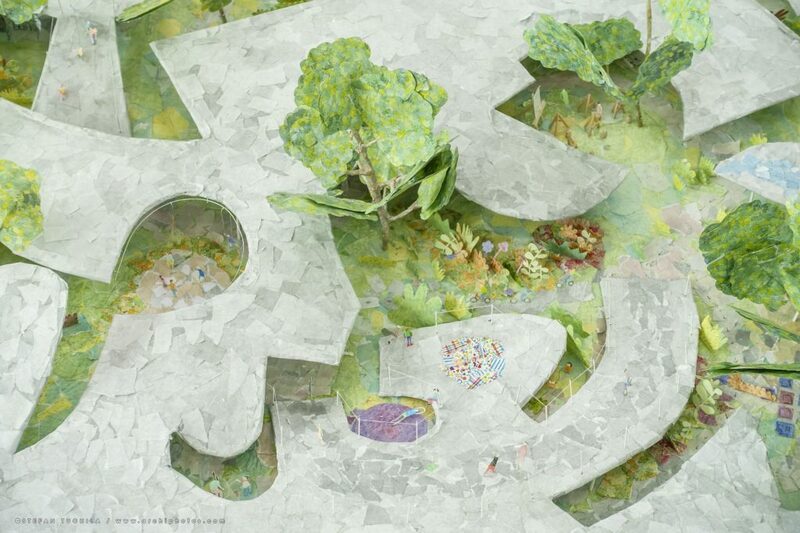 Certain projects are radically transforming nature to create a new, improved and innovative landscape. 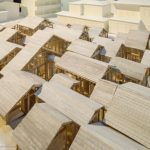 Thus, the Shadong Cultural Centre is the overlapping of an artificial lake and a multi-purpose pavilion, the irrigated gardens of Tochigi overlay a forest and a flooded grassland, the Dali villas combine the mineral landscape and living, in an effort to expand the existing topography. 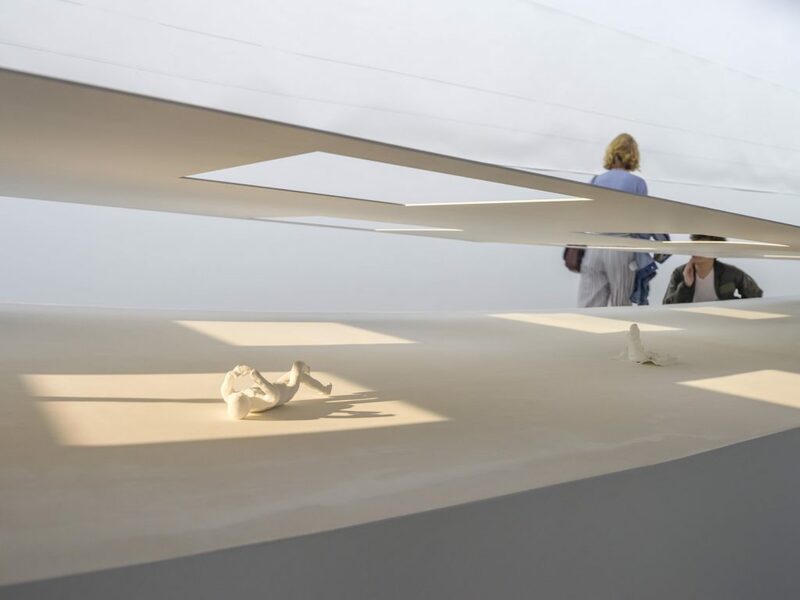 The design process is described by models, undoubtedly the most impressive presence in the exhibition. 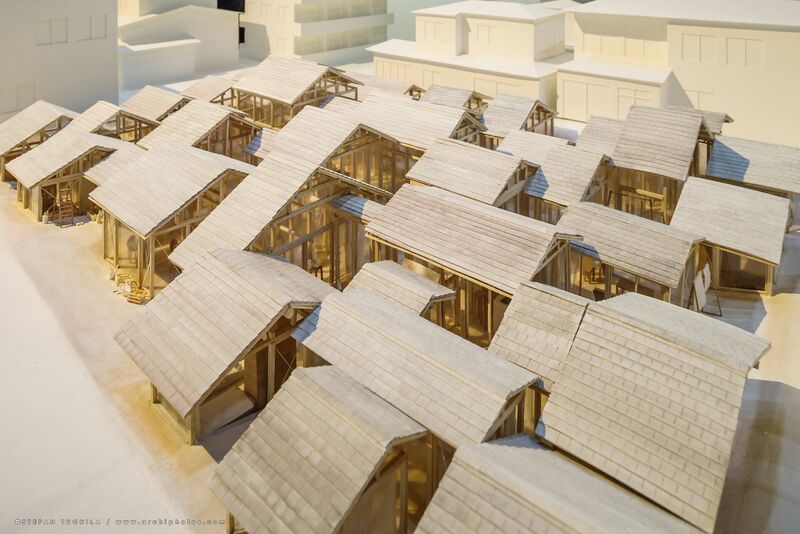 The models are surprising by their variety of materials, textures, details, and dimensions. 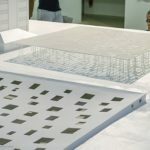 Each of theml is crafted in a different technique and manages to capture at the same time the complexity of the process, and that of subsequent construction, without simplifying or standardising the projects. 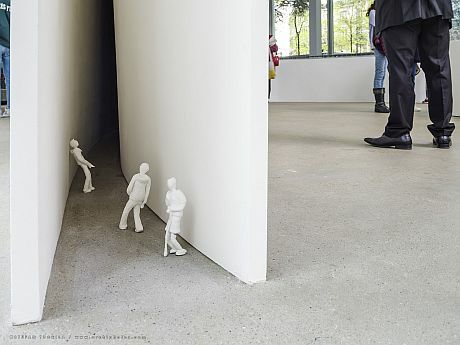 The models’ sequential track exhibits the stages that led to the final project and adds coherence to the context of the project and to the architecture. 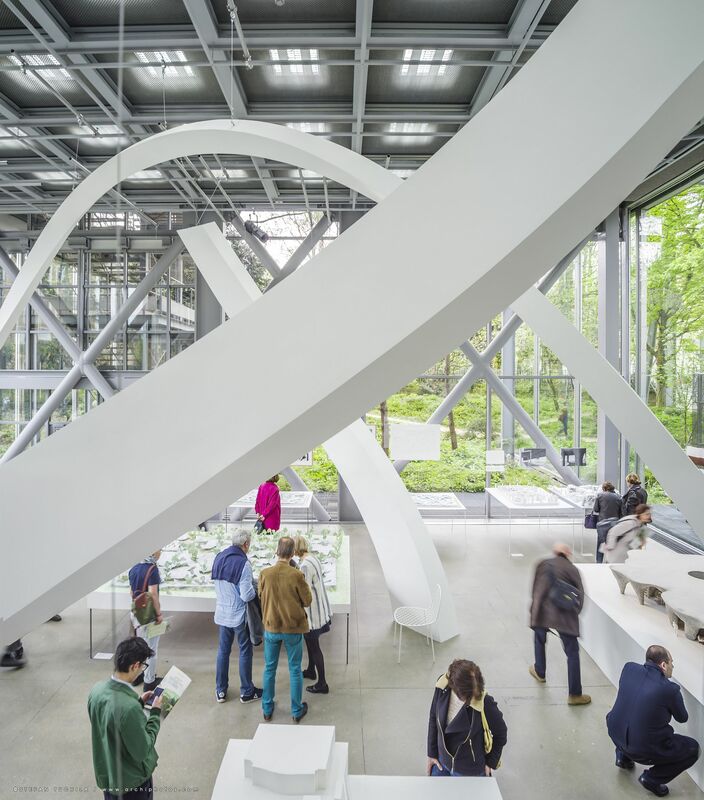 The final project occurs as a natural conclusion, where the reading is no longer of 2 elements, but of a single one, a fluid, landscape-absorbed space. 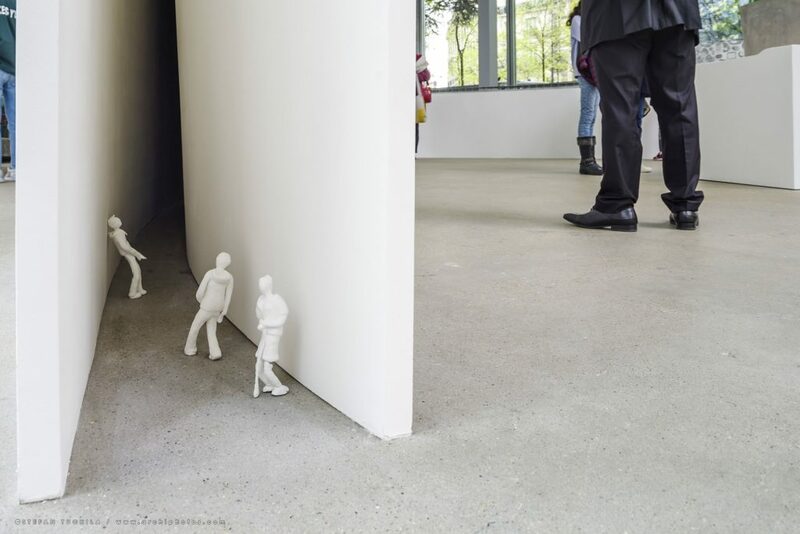 We must point out that these are not study models. 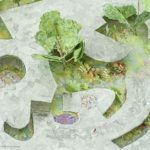 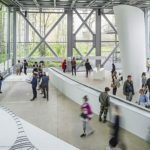 They were specifically created for the exhibition, but they do not reinterpret the project’s conception, but manage to capture the freedom of expression, the experimentation and innovation of each approach. 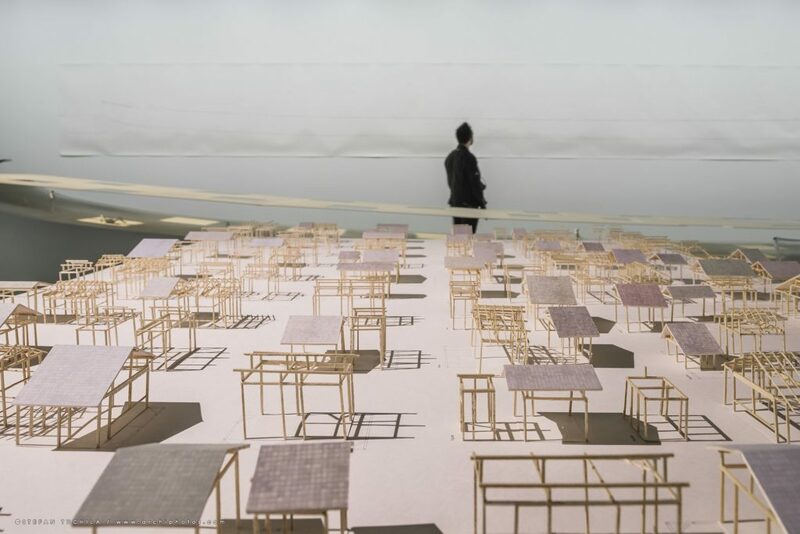 On the lack of constraints: A source of fascination, and also of frustration, each project’s freedom of the language and approach are surprising along the track of the exhibit. 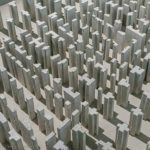 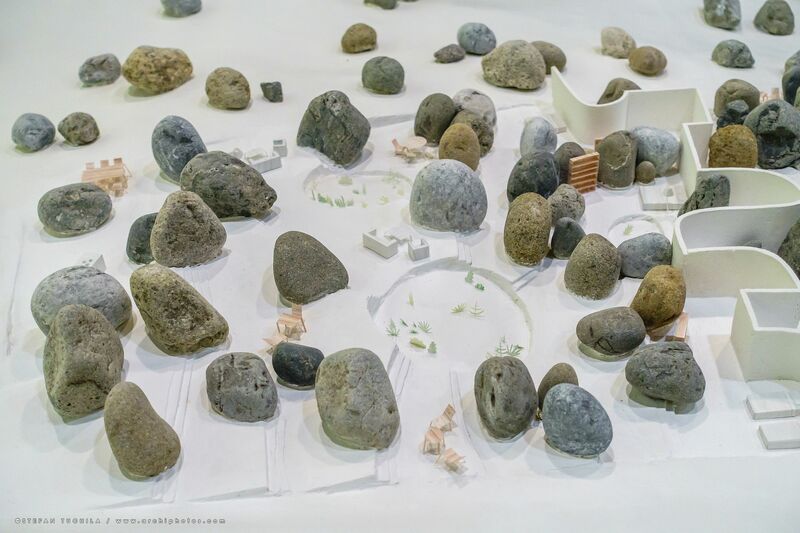 A few general lines can be traced, to describe Junya Ishigami’s architecture, but the dominant one is the capacity of avoiding, with astonishing ease, the constraints of formalism, and to poetically focus on the essentials. 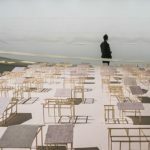 A line drawn in the sky describes a monument in Sydney, collages of children’s drawings become the rooftop of a nursery school in Shandong, the excavated ground exposes a concrete grotto, turned into a house and restaurant in Yamaguchi, a semi-open space, defined by a seemingly floating structure, recreates a fine line of horizon in Kanagawa. The diversity of projects and their vocabulary are disarming for the restrictive and dull landscape of architectural commissions in France. 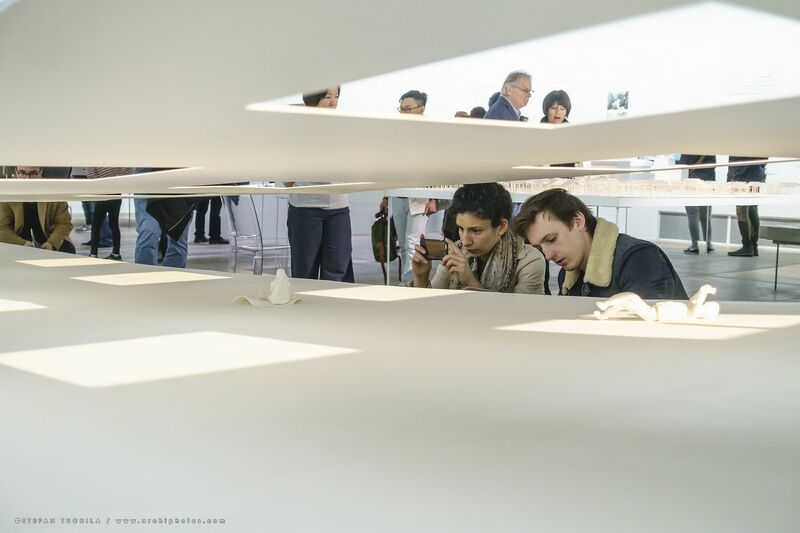 In a market dominated by the ‘real estate product’ (from this point of view, France and Romania really are similar), it is almost a travesty to imagine the customers that may encourage the showcased projects. 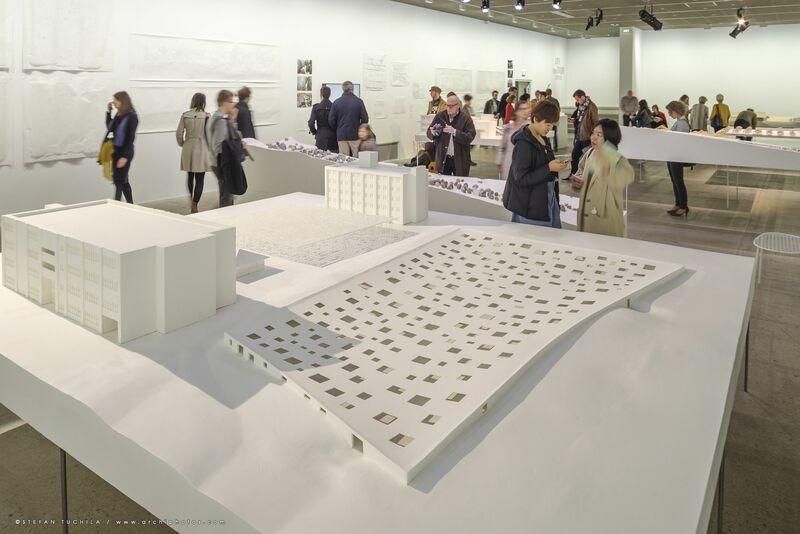 Had the exhibition not had references and technical details, one would believe that the themes related to early-architecture school projects, when project topics are sometimes (extremely) detached from the reality of the job. 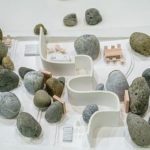 Refusing a unique style, Junya Ishigami inscribes each project in an individual aesthetic context, determined by the landscape, function, users and customer. 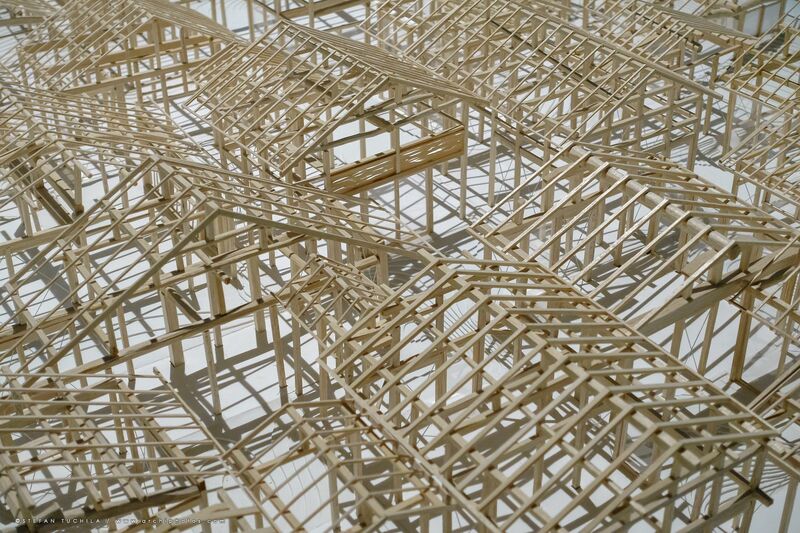 There is something destabilising in the way how the sobriety of projects seems to deliberately conceal the complexity of execution. 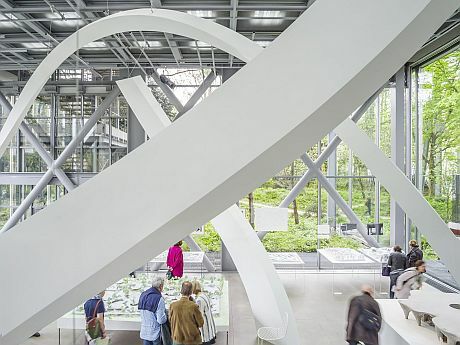 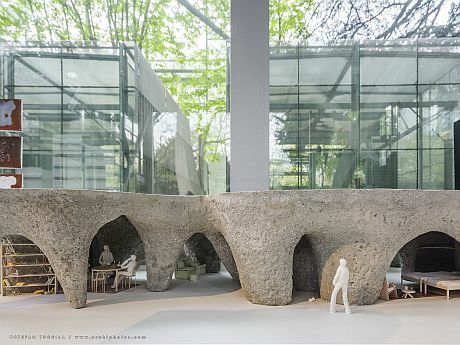 From using an impressive volume of earth to encase a concrete structure (House and restaurant/Yamaguchi), to the construction of a transparent building with no other vertical structural element but glass (Pavilion for the Groot Park/Netherlands), or the extension of a museum by excavating and exposing the foundations (The Polytechnic Museum /Moscow), Junya Ishigami manages to translate technical exploration and innovation, by simplicity and poetry. 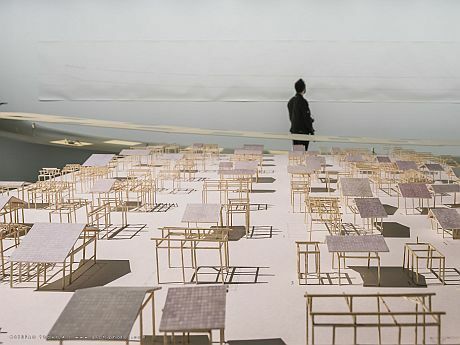 Conclusion: It is a true escape to walk through an architectural exhibition that does not display the eternal generic schemes with axonometries full of colours and arrows, sections and plans sporting graphics indifferent to the projects’ specificity; an exhibition free of cheated perspectives and processed photos, free of the obsessive presentation of the finished product in a seductive light, more often than not far away from the reality of the execution or of the project itself. 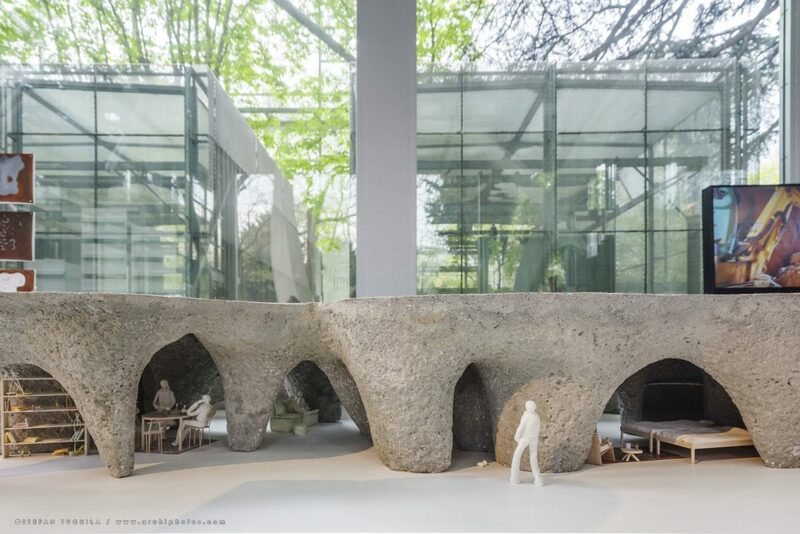 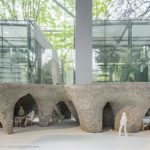 Junya Ishigami’s exhibition is discovered and experienced in person, the same as his architecture, it requires attention and sensitivity, it does not follow the built project, but its process, the energy underlying conception. 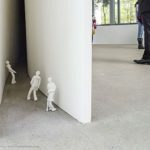 Photos of the finished project are very discreetly presented, for they do nothing more than confirm the freedom and artlessness of each approach. 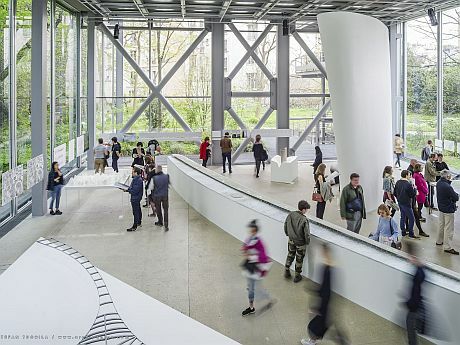 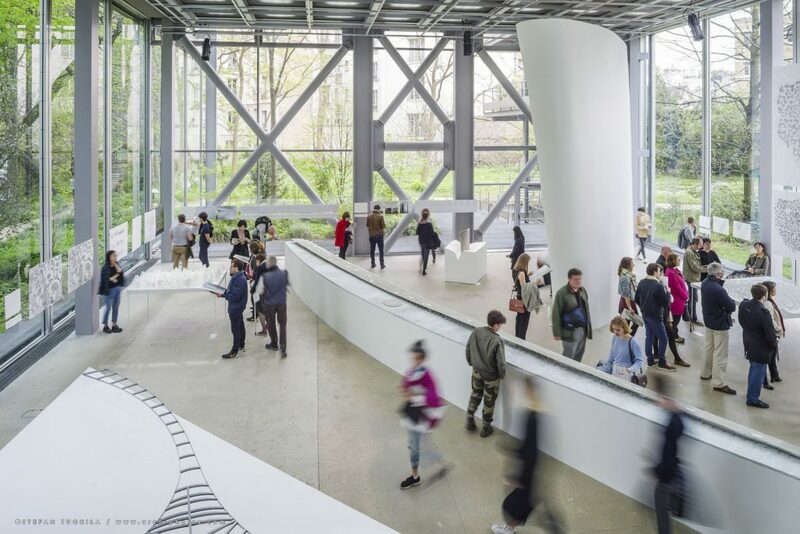 The exhibition was opened at the Cartier Foundation of Paris until September 9th, 2018.